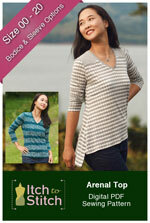 Irena Knit Top is a cozy, casual top that you will want to wear all the time. 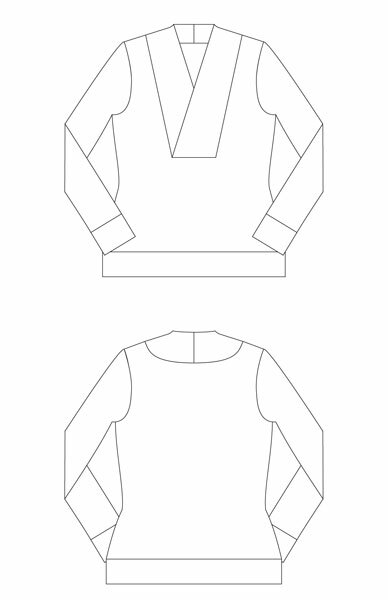 It can be a fitted T-shirt if you use a jersey or interlock fabric, but it can be a sweater if you use a light-weight sweater knit. The wide, flat-bottom V front band reaches the base of your neck to keep you warm on cold days. Try using a contrast color on the neck band, sleeve bands and bottom band to give your individual style. 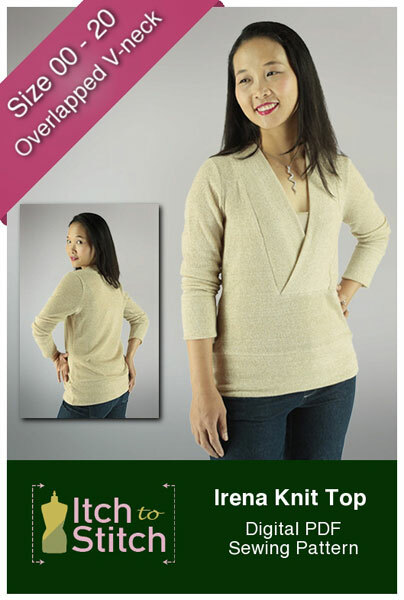 Irena Knit Top is designed to be worn with a cami, a shirt or other top inside. There is no modesty panel included; what you see in the photos are separate camis. 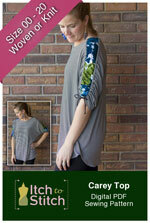 Use a light to medium-weight knit fabric with at least 50% 2-way or 4-way stretch and great recovery. 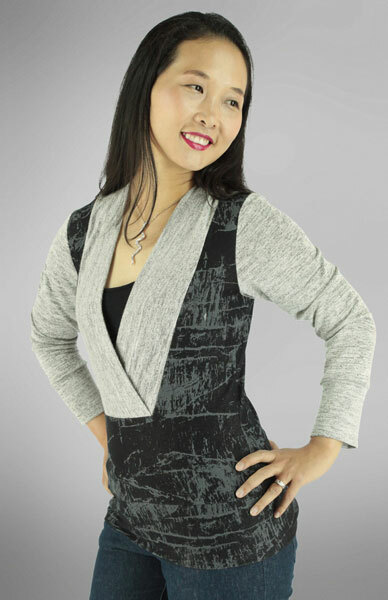 Jersey, interlock, sweater knit and French terry are great choices. If you use fabric with less stretch, you may choose a larger size. Conversely, if you use fabric with more stretch, you may choose a smaller size. Keep in mind that if your fabric has a looser knit or more drape, your garment will be more relaxed and larger, and vice versa. 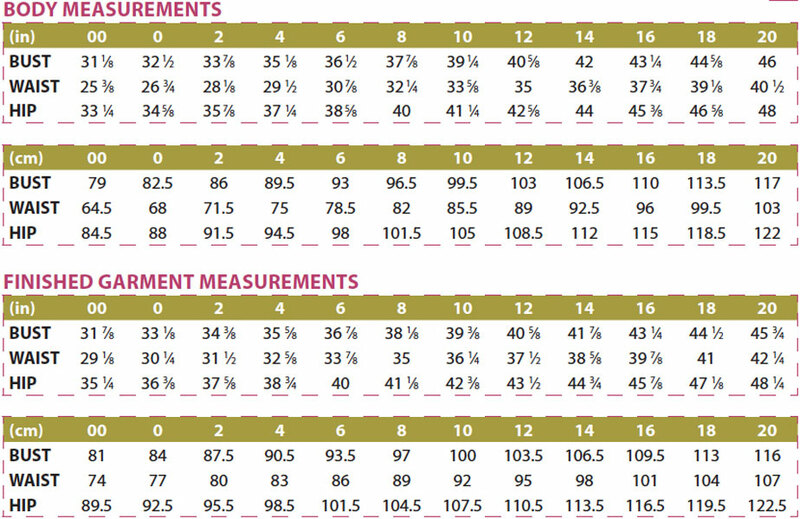 It is highly recommended that you check your fit by making a test garment with inexpensive fabrics that have similar weight as your final garment fabrics.